We sound braggy but feel lucky saying that Roast Rider is the only craft coffee café in Virginia to represent George Howell, Equator and Amavida. We like to think they are as picky about their wholesale partners as we are about our roasters. What if you owned a coffee shop and you really believed that your coffee roaster was knighted by the Queen of England? Wouldn’t you shout it from the rooftops and tell all your customers? That’s what Wayne, Roast Rider's owner, did. No fact checking. He suspended ALL disbelief. The funny thing is Wayne is a methodical, no BS kind of guy. So nobody thought to question him. The good news is his wife Lisa is an old-school journalist. After overhearing him tell this tale again and again, she started to get a funny feeling that it was either urban myth, or pure delusion on Wayne’s part. She asked Wayne where he heard this. She Googled it and found nothing. That's when she went right to the source and found out that George was extremely flattered, but not knighted!! Wayne has since conceded that his obsession with George’s impact on the specialty coffee industry might have clouded his judgment. But, in Wayne’s eyes, George Howell will always be Sir George, and the Queen just needs to keep up! George Howell: Visionary behind the Cup of Excellence program. For decades he has pioneered groundbreaking technology + relationships to benefit coffee growers and incentivize their production of exceptional coffees. Real Leaders "2018 Top 100 Impact Companies"
B Labs “2018 Best for the World Honoree"
Amavida was conceived to lift coffee communities by pioneering a collective impact approach. Founder, Dan Bailey is a global citizen and patient visionary who raises the coffee roasting bar, while addressing multiple issues facing producers-- from health care and education, to clean water and gender equity. You never forget your first love or your first Roaster. 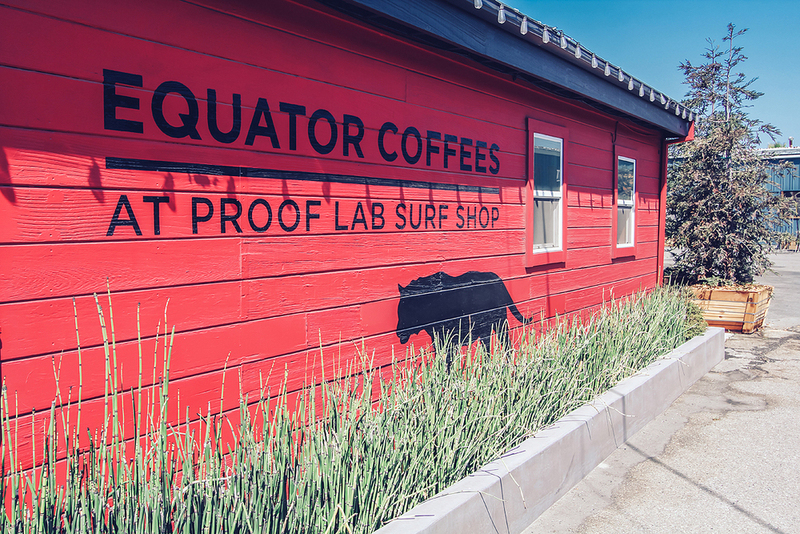 For us that would be Helen Russell and Brooke McDonnell, co-founders of Equator. Helen has always guided us with her championista's heart and head. Year in and year out, Helen and Brooke ignite change as a trailblazing national brand that nurtures initiatives in support of women, workers and coffee growing regions around the world. Female-owned, impact-charged and social values-driven. ROAST RIDER: Why do you do it? HELEN RUSSELL: To be the best, no. To be the best for the world. Yes! !